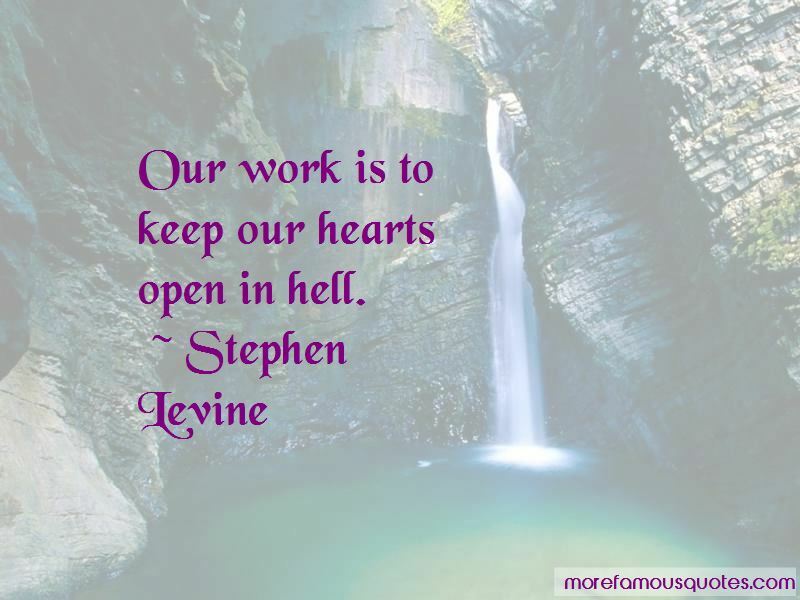 Enjoy the top 101 famous quotes, sayings and quotations by Stephen Levine. Pouring mercy into the darkness, Miao Shan becoming the bodhisattva Kuan Yin. She liberated hell, singing: Old stories, legends of creation, won't keep Hades from becoming paradise. Rumi said for the person who loves the truth "Their water is fire." He made spring out of winter. He learned from his mistakes. There were moments when numb from thinking we forget we pass through hell on our way to heaven. And if that heavenly glow does not distract us too much, dehypnotized by grace, we continue past heaven into the boundless enormity which dwarfs it. The saddest part about being human is not paying attention. Presence is the gift of life. 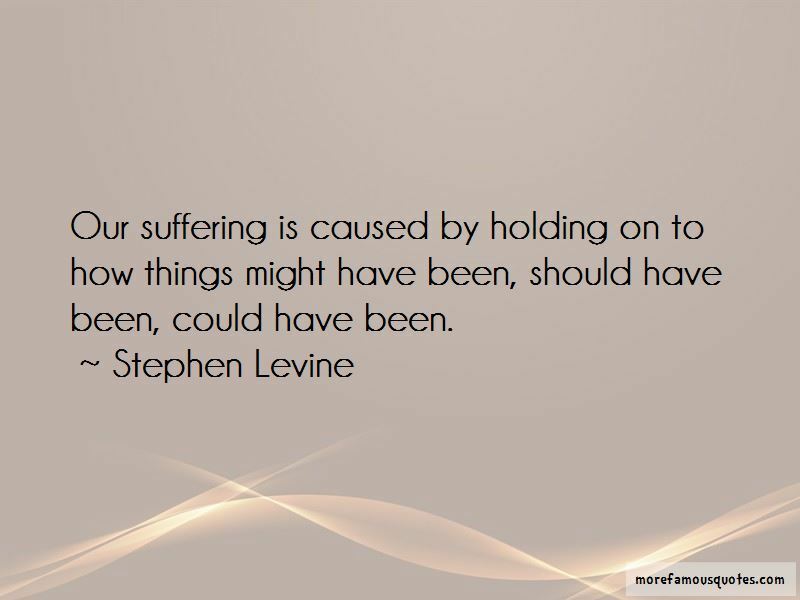 Our suffering is caused by holding on to how things might have been, should have been, could have been. but to acknowledge and claim as our birthright the wonders and healings within. In all serious disease states we find a concomitant low oxygen state ... Low oxygen in the body tissues is a sure indicator for disease ... Hypoxia, or lack of oxygen in the tissues, is the fundamental cause for all degenerative disease. Oxygen is the source of life to all cells. It doesn't matter how long you forget, only how soon you remember! If you want the other person more than anything else in the world, you're in major trouble and the relationship is a wobbly pivot. It's different if the thing you want most in the world is truth, and your partner is the person you want most in the world. There is in all our strivings a profound homesickness for God. When we touch another we touch God. When we look at a flower, its radiance, its fragrance, its stillness is another moment's experience of something deeper within. When we hold a baby, when we hear extraordinary music, when we look into the eyes of a great saint, what draws us is that deep homesickness for our true nature, for the peace and healing that is our birthright. This homesickness for God directs us toward the healing we took birth for. “Letting the last breath come. 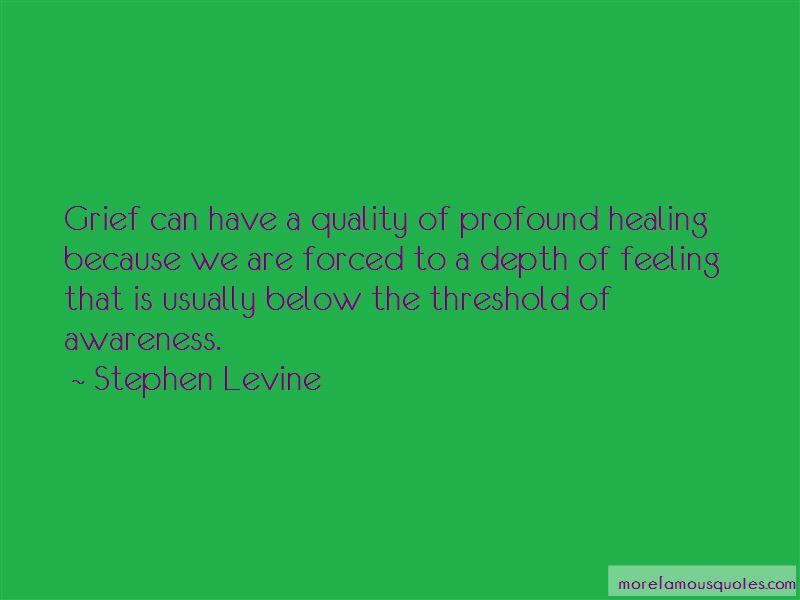 Want to see more pictures of Stephen Levine quotes? 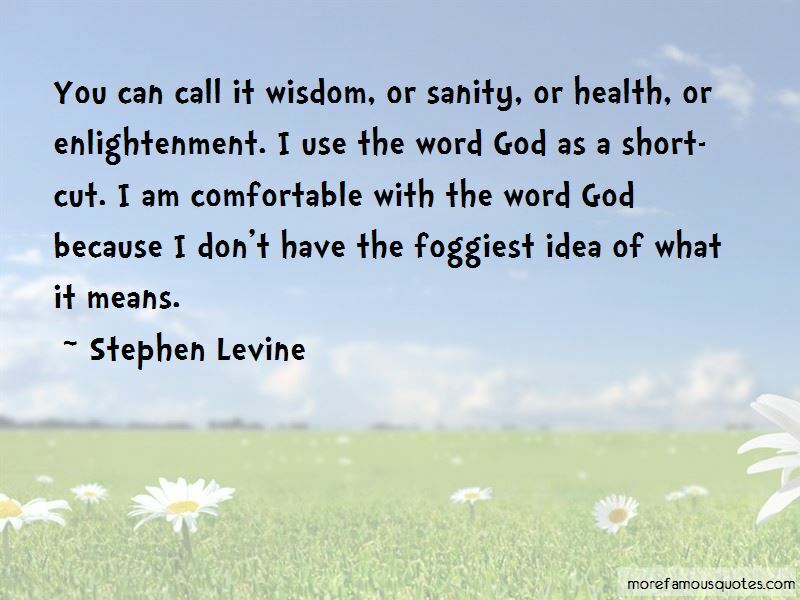 Click on image of Stephen Levine quotes to view full size.